Extract a minimum of 2,000 litres of water from the atmosphere daily, using 100 per cent renewable energy, at a cost of no more than two cents per litre. Over 780 million people in 43 countries have limited or no access to clean water. Sustainable Development Goal (SDG) 6; Ensure availability and sustainable management of water and sanitation for all, sets a global mandate to solve this problem, and we asked a global network of problem solvers to rise to the challenge. 18 months ago, we partnered with XPRIZE and Tata Group to task scientists, social change agents, engineers, academics, entrepreneurs and other creative minds to come up with a solution that could change the way the world tackles water scarcity. 98 teams accepted the challenge. After some initial trials and prototypes, we narrowed the search down to 32 teams. On World Water Day (22 March) this year, we announced the top five teams. Each received a prize of USD50,000 to continue testing their solution. XPRIZE intentionally designs ambitious prizes with challenging targets to facilitate technological breakthroughs. The solutions that Hydro Harvest Operation, Uravu, Team Skydra and Thin Air Partnership developed throughout the prize process were highly effective but the teams themselves acknowledged that they weren’t likely to reach the target output within the prize timeframe – and withdrew from the competition. The teams that withdrew acknowledged that participation in the XPRIZE had rapidly accelerated the development of their solutions for more advanced testing and development. It is anticipated that XPRIZE’s extensive corporate and investor network will provide pathways to commercialisation for scalable innovations. The Judges nominated the SkySource/SkyWater Alliance (Berkeley, USA) to re-join the competition. The two remaining finalists – SkySource/Skywater Alliance and Team JMCC Wing - began final testing in September this year, where they were asked to fully demonstrate that their device could extract a minimum of 2,000 litres of water per day from the atmosphere, using 100 per cent renewable energy at a cost of no more than two cents per litre. While both finalists performed well in the testing, a clear winner emerged. On behalf of the Australian Government, I am proud to declare the SkySource/SkyWater Alliance the winner of the USD1.5 million prize – an equal contribution between DFAT and the Tata Group. The SkySource/SkyWater Alliance team at the award announcement at XPRIZE's Visioneering summit on 20 October 2018. DFAT agreed to awarding the other testing finalist, Team JMCC Wing, with a Bold Innovator Award and up to USD200,000 (from a surplus of existing funding) to further develop their solution. This approach was recommended by the judging panel, who were impressed by the technological breakthrough but were unable to award the team the Grand Prize because of technical issues during the test that left the solution unable to meet the prize requirements. 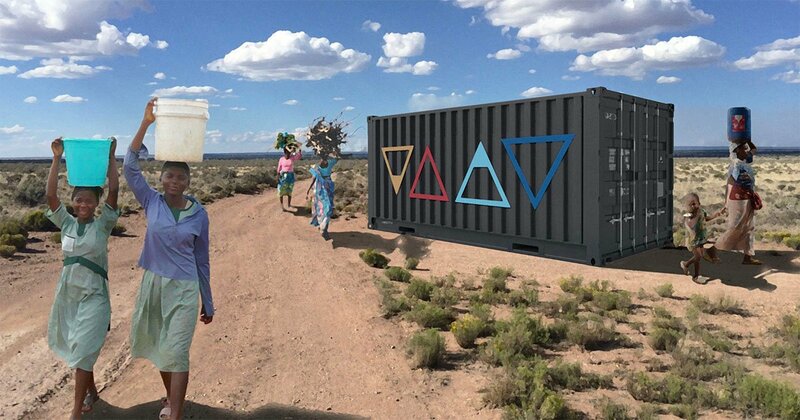 I look forward to following the progress of both teams and hope they are scaled to reach people in the world’s most remote, water scarce regions, providing a decentralised solution to providing access to clean water. Congratulations to everyone involved in the Water Abundance XPRIZE. It has been a pleasure working with you all. Dr. Sarah Pearson became the Department of Foreign Affairs and Trade's (DFAT) first Chief Innovation Officer at the beginning of 2018. In this role, she is working tirelessly to drive the new DFAT Innovation Strategy, which charts a course to embed innovation across all of DFAT's work. Sarah has had an eclectic career, spanning industrial innovation, academia, management consulting, government and science communication. To learn more about Sarah, check out this blog.